Transformations are amongst the most startling in all of magic. When a spectator sees (with their own eyes) something change into something else, they're left speechless. Chained is a truly magical effect. 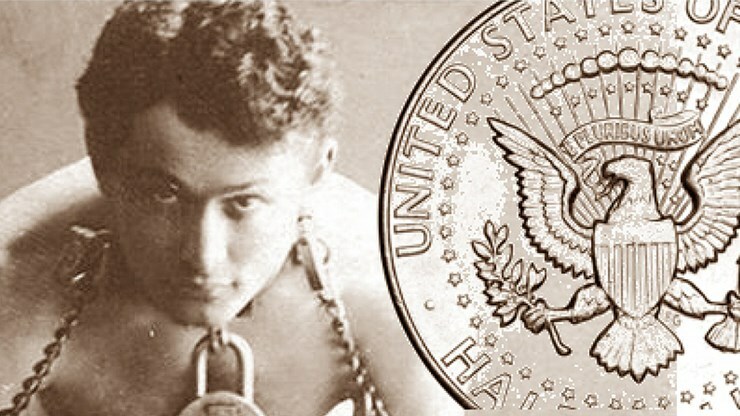 A half dollar and a gold coin are displayed. 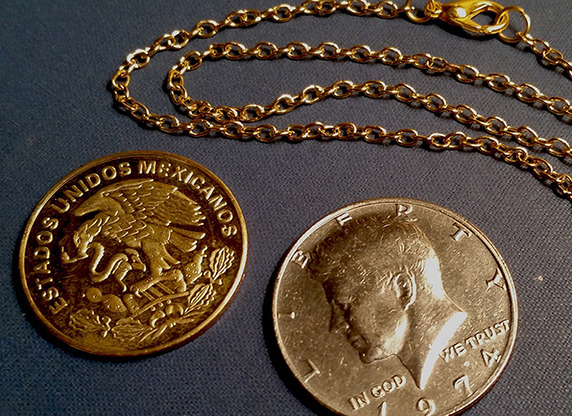 The selected coin changes into a fine chain necklace. Your hands are shown empty, with nothing added or taken away! Very visual and you end clean.